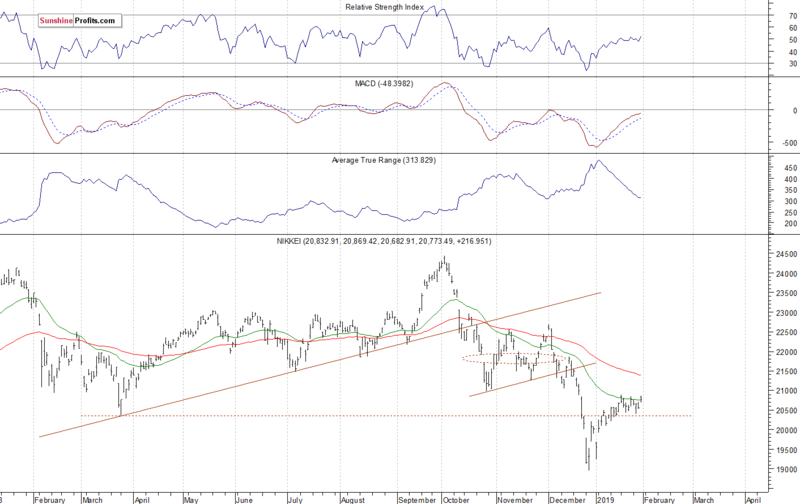 Rally After Fed, but Will Uptrend Continue? Stocks rallied on Wednesday following the Fed's Rate Decision announcement. 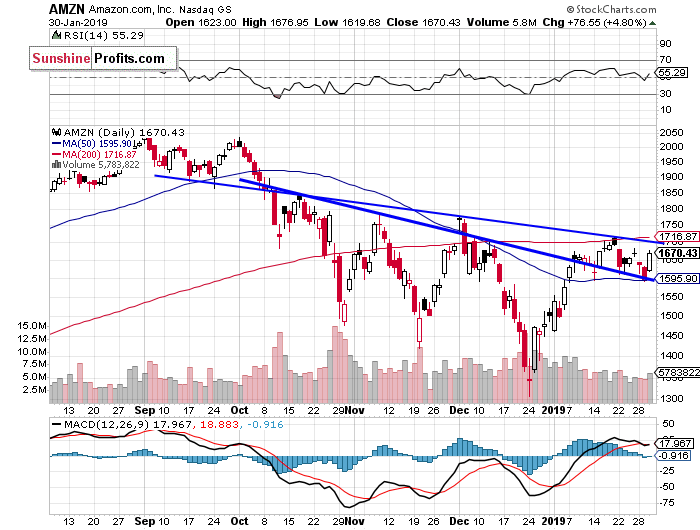 The broad stock market extended its month-long advance, as the S&P 500 index got closer to the 2,700 mark. Will the uptrend continue today? The U.S. stock market indexes gained 1.6-2.2% on Wednesday, as investors reacted to the FOMC's Statement, quarterly corporate earnings releases. 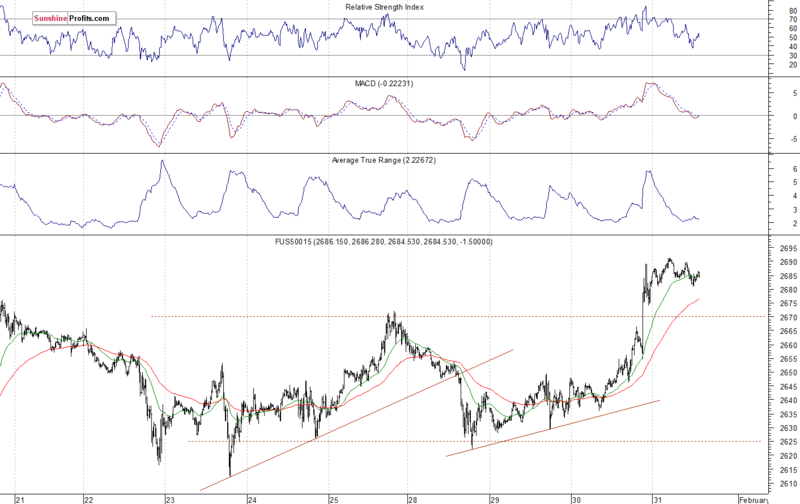 The S&P 500 index broke above its short-term consolidation and it got closer to the 2,700 mark. The market is now closer to the 61.8% Fibonacci retracement of its October-December downward correction of 20.2% (2,713.88). 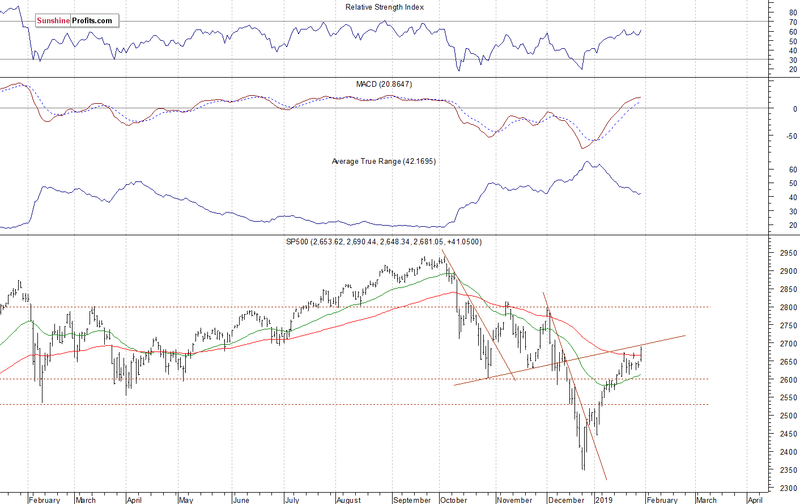 It has gained more than 340 points from the late December medium-term low, but it is still around 260 points below the September 21st record high of 2,940.91. 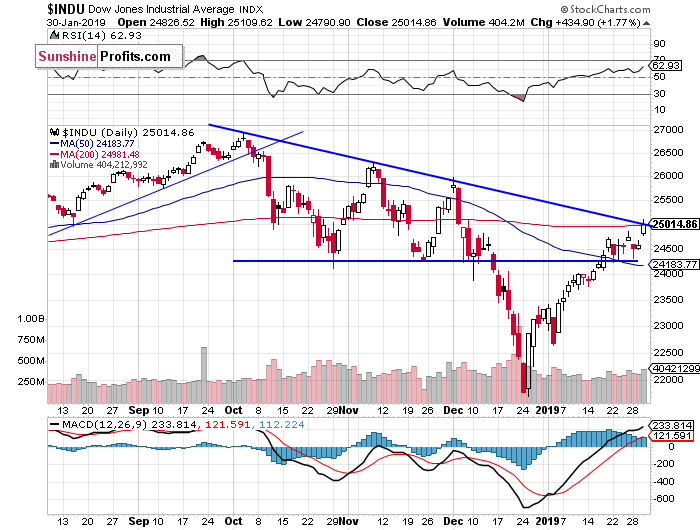 The Dow Jones Industrial Average gained 1.8% and the Nasdaq Composite gained 2.2% yesterday. The nearest important resistance level of the S&P 500 index is now at 2,700-2,720, marked by the mentioned 61.8% Fibonacci retracement. The resistance level is also at 2,750-2,760. On the other hand, the support level is at 2,650, marked by the recent fluctuations. The support level is also at 2,615-2,625, marked by the short-term local lows. The index futures contracts trade between -0.1% and +0.5% vs. their yesterday's closing prices. So expectations before the opening of today's trading session are mixed following yesterday's run-up. The European stock market indexes have been mixed so far. Investors will wait for some economic data announcements today: Initial Claims at 8:30 a.m., Chicago PMI at 9:45 a.m., New Home Sales at 10:00 a.m. Investors will also wait for the quarterly corporate earnings releases. The broad stock market will likely fluctuate along the mentioned resistance level following yesterday's rally. There have been no confirmed negative signals so far. 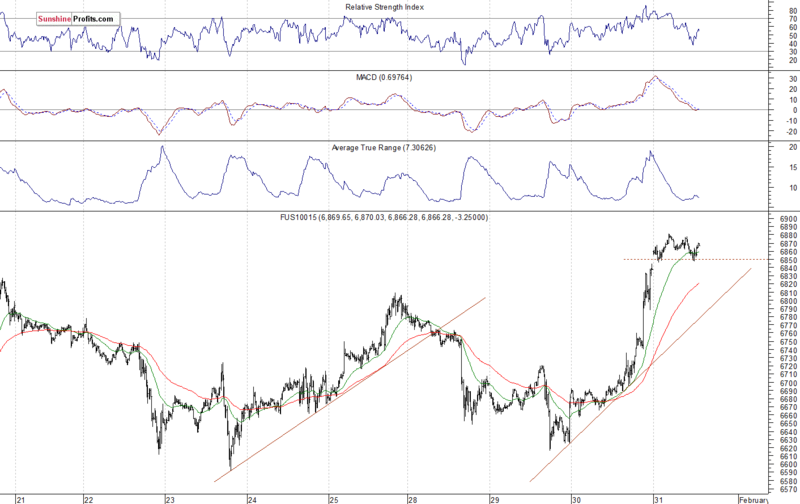 However, we can see some short-term technical overbought conditions. 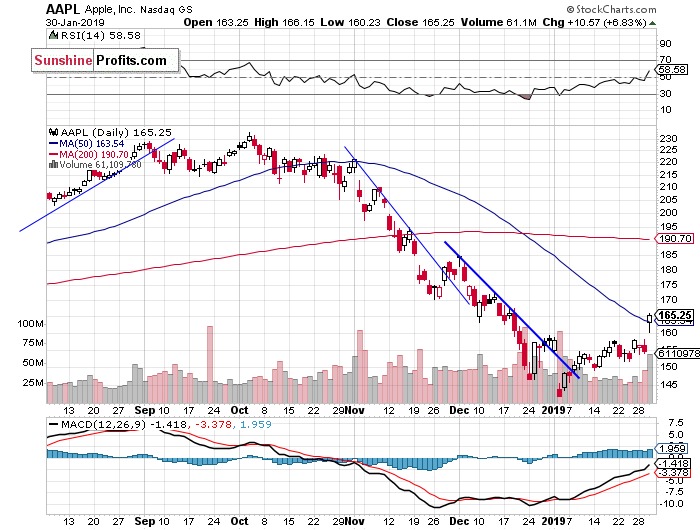 Apple Rallies After Earnings Release, New Uptrend or Just Upward Correction? The S&P 500 index broke above its short-term consolidation yesterday, as it gained 1.6% following the Fed's Rate Decision release. Is this a new medium-term uptrend or still just upward correction before another medium-term leg lower? The market trades above the 50% retracement of the whole medium-term decline. There have been no confirmed negative signals so far. Concluding, the S&P 500 index will likely open virtually flat today. We may see some profit taking action. Investors will wait for tomorrow's monthly jobs data announcement and some more quarterly corporate earnings releases.